I am attending North Carolina School of Science and Mathematics in Durham, North Carolina. My interests are in computational science and applied mathematics. I aim to major in engineering or medicine. 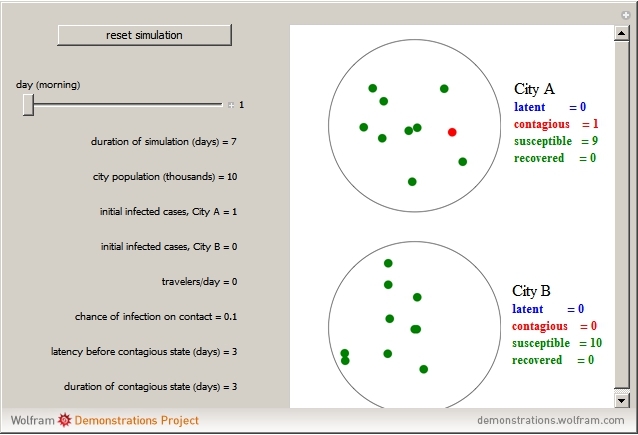 This demonstration models the spread of a disease given certain parameters set by the sliders. People can see how the disease spreads over a time period and adjust parameters of the disease to see certain observations.